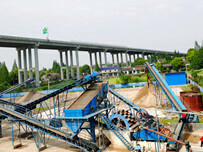 Sand washing machine is commonly used in sand and gravel processing plant now. 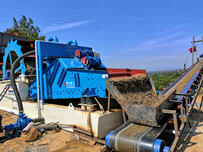 Why sand washing machine so popular? 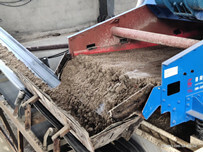 What are the advantages of sand washing machine have? Following I will introduce the structural features. 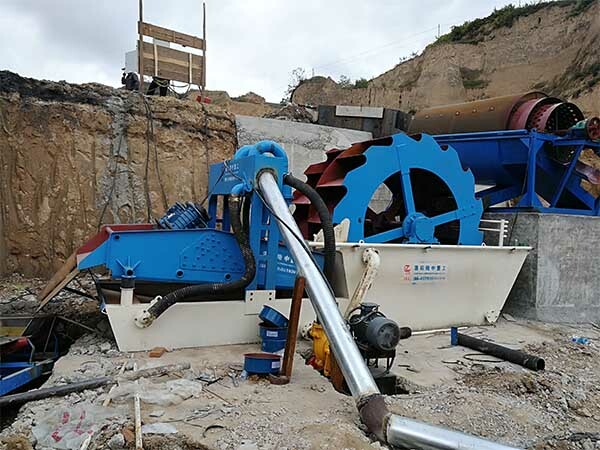 1.Sand washing machine adopts flat rolling sieve cylinder, which modeled on the working principle of artificially using inclined screen to screen sand. And to ensure that the sand is continuously sifted in screen cylinder for many times. 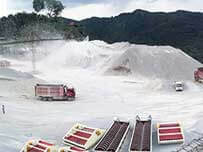 Therefore, the sand material is repeatedly tumbling and sliding to be sufficiently separated to be cleaned. 2.Highly integrated: Except for the final sand stacking belt machine, all systems are integrated into one overall frame, which not only ensures the integrity of equipment, but also maintains proper maintenance and inspection space. It’s convenience and safety. 3.Work reliability: The core system adopts mixing principle. The raw materials are tumbling, pushing and rubbing between continuous spiral blades in mixing drum. And the action is strong and reliable. 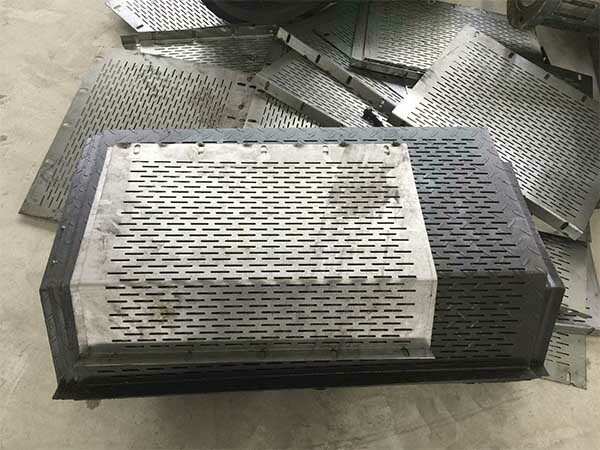 4.Simple installation base: since the whole equipment is a box-shaped frame structure, only a flat ground can for installation. The ground is best hardened for cleaning. 5.Economical use: The screen adopts a replaceable chip-mount connection method, which is convenient for replacing.